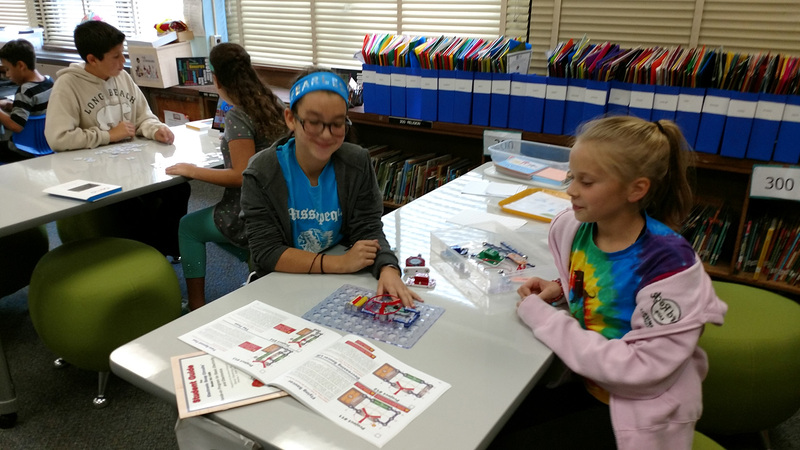 When Massapequa School District officials observed the makerspaces neighboring districts had implemented in their schools and started discussing plans for their own, their first thought was to create a pilot site in one of their elementary schools. But then they thought, why mess around? 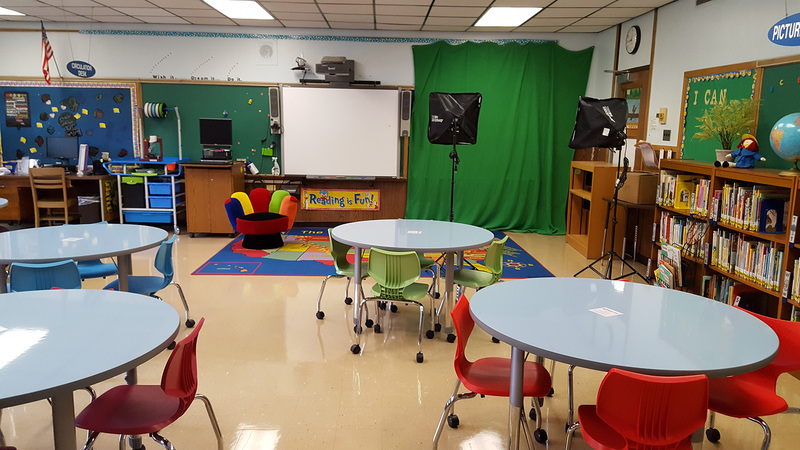 With the full support of the superintendent and funding for the spaces secured through the existing budget, officials started making plans. 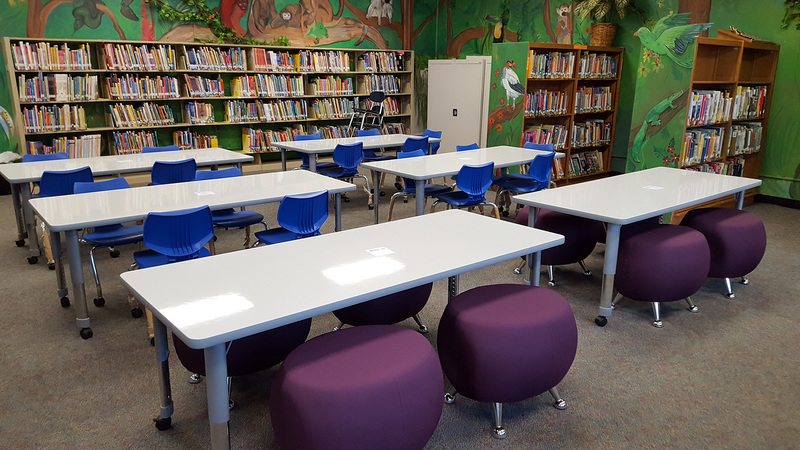 Kemnitzer turned to Demco for help with designing and outfitting the schools’ new spaces, most of which would be located in or adjacent to the current libraries. 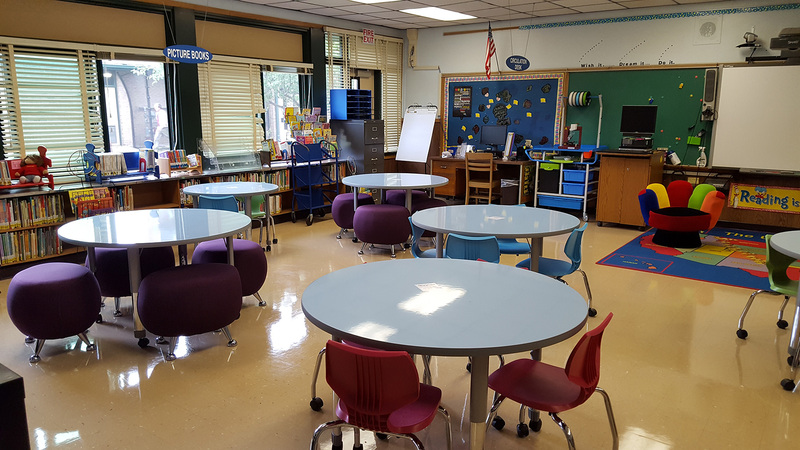 One of the solutions was Allied™ Imagination Station Colorful Dry-erase Tables, which feature a write-on-wipe-off surface, adjustable height legs, and optional locking castors for mobility. 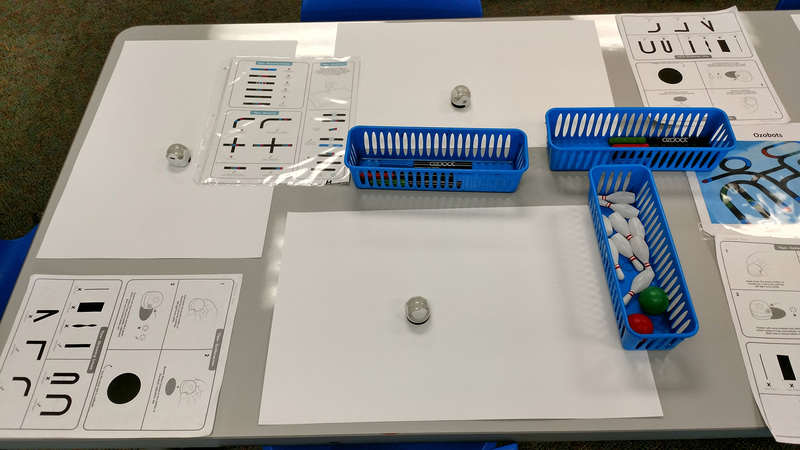 Kemnitzer also made sure each space had a mobile 3-D printer cart to ensure that the 3-D printer could travel from classroom to classroom for different projects. Working with Account Development Manager Shawna Ley was seamless, said Kemnitzer. He was able to collaborate with Shawna and the rest of the Demco interior services team to design and choose furniture to fit the dimensions and needs of each space, as well as get color recommendations. “The team had great insights. When people walk in those spaces, they are like, ‘this is amazing,’” said Kemnitzer. 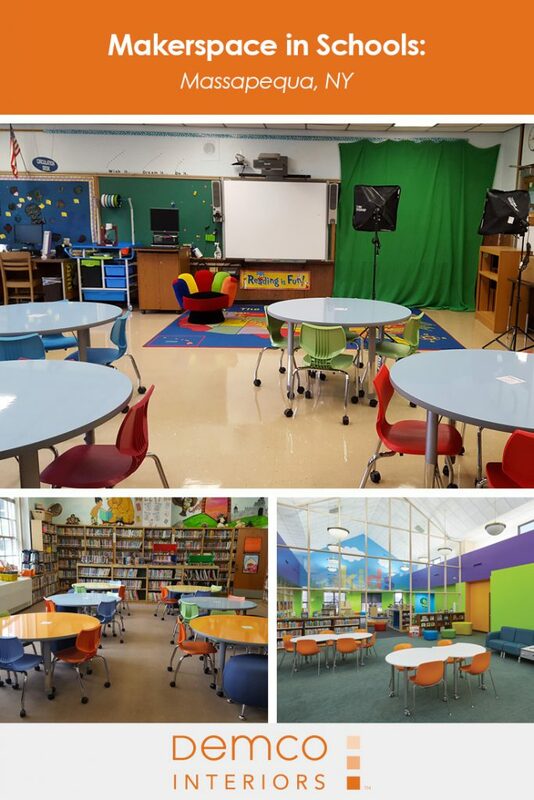 The Demco interior services team also helped identify products that would support the needs of the various zones in the spaces, including Sandusky Lee Mobile Storage Units to keep supplies secure, Jupiter Stools and armless seating for a lounge area where kids can collaborate, and mobile Flavors Chairs, dry-erase tables, and a green screen area, all highlighted with a lot of color. 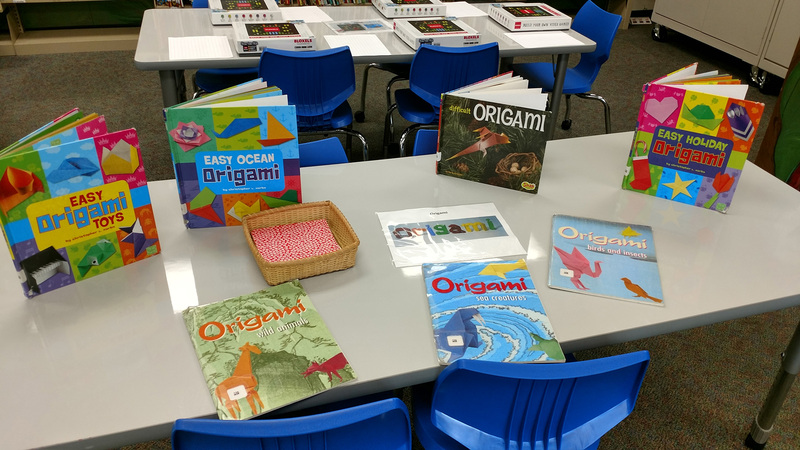 It’s a different library experience for the staff as well, who spent part of the summer writing and connecting maker activities to the current curriculum. 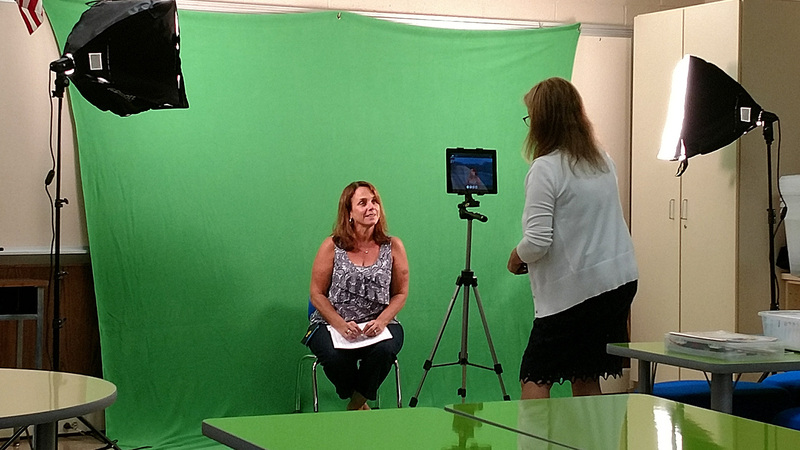 Although it requires an adjustment to how and what they teach, staff members are receiving support from the technology learning coach, and they are loving the new activities. 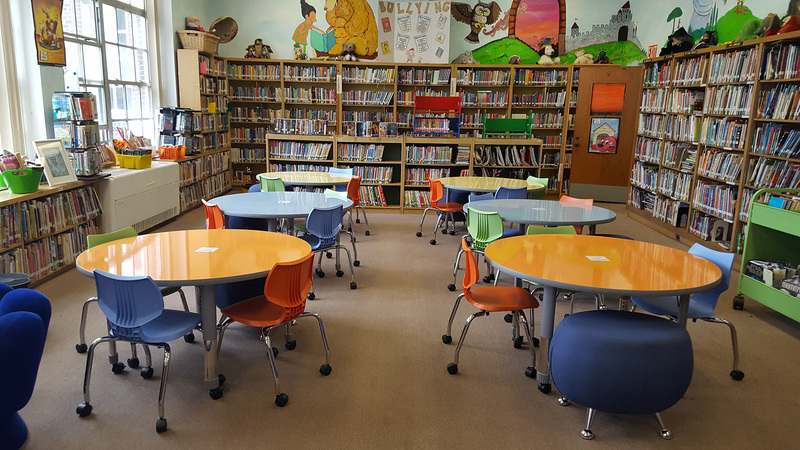 Each library has computer teaching assistants who are co-teaching in the space, and the district added another librarian to the staff as well, chosen specifically for her focus on innovation in library services. 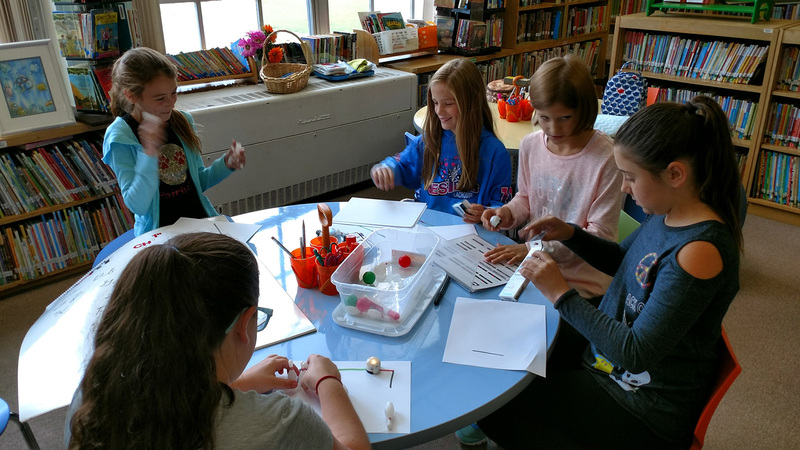 Twenty percent of the Massapequa schools’ library instruction time is now dedicated to “genius hour,” or maker activities, to extend classroom learning. 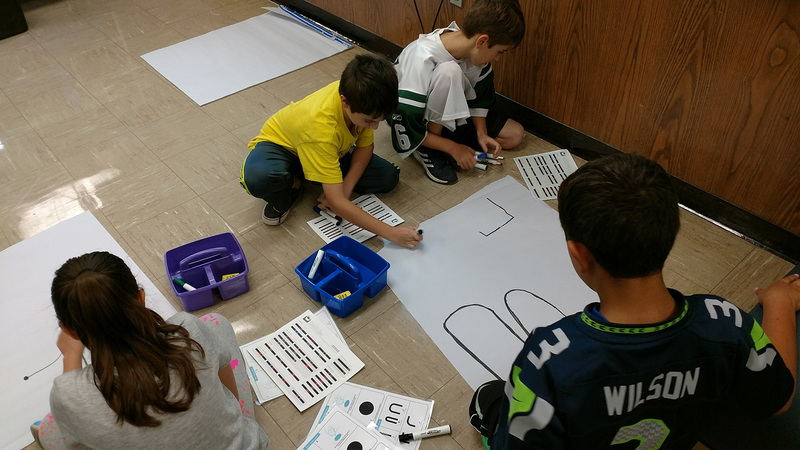 For example, when students read a book in class, they can create something in the makerspace to highlight the book and what they learned. 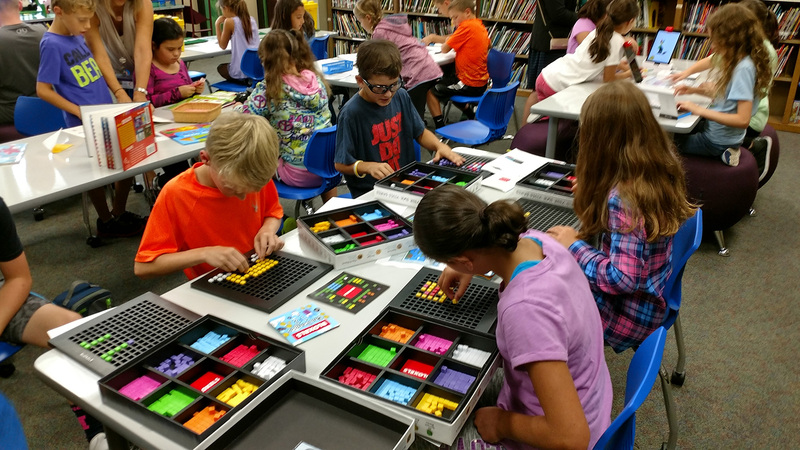 Along with their regular library schedule, students are on a 5-week rotation to come into the makerspace on their lunch hour once a week. 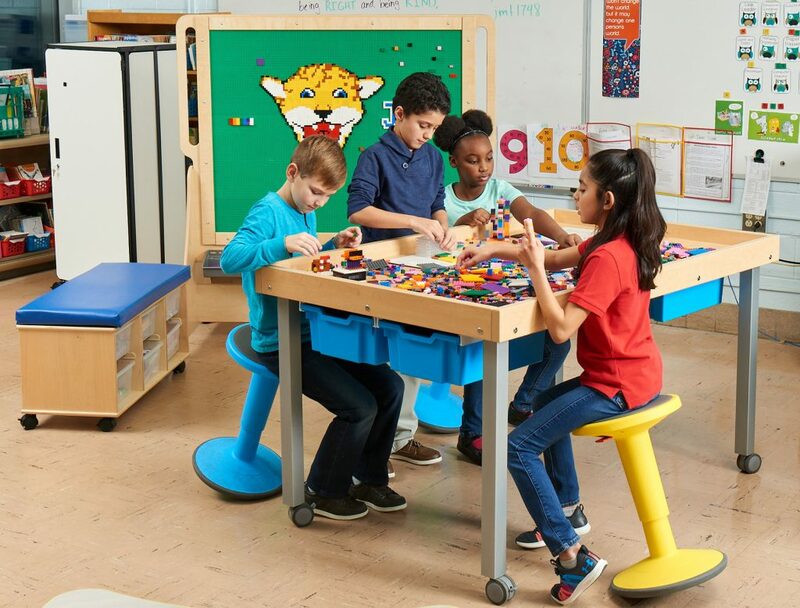 They can choose from myriad activities and tools, including green screen video creation, coding, Ozobots®, Dash and Dot, Tinkercad, Osmo, cardboard, LEGOs®, Bloxels and KEVA® planks, just to name a few. 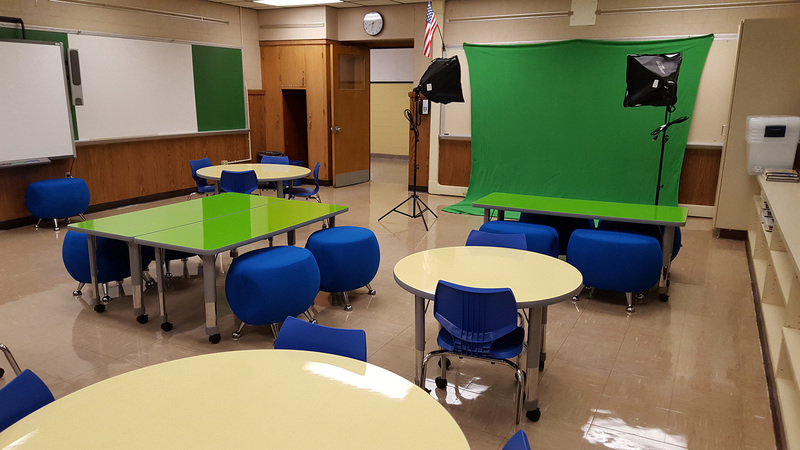 The spaces have also been stocked with additional technology, including 10 Chromebooks and 7 iPads®. “Kids walk in and you can see how motivated they are, “ said Kemnitzer. 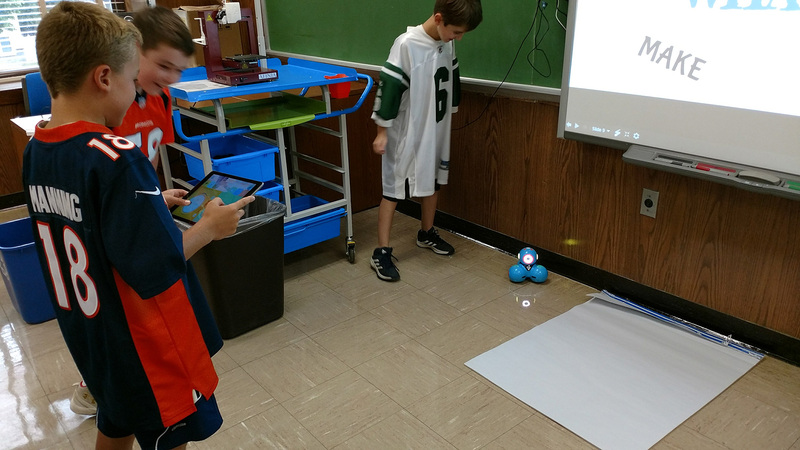 For example, he recently observed a group of kids who built a maze with LEGOs and put bowling pins at the end, as well as another group that coded an Ozobot to run through the maze and knock the pins down — all without adult guidance or intervention. 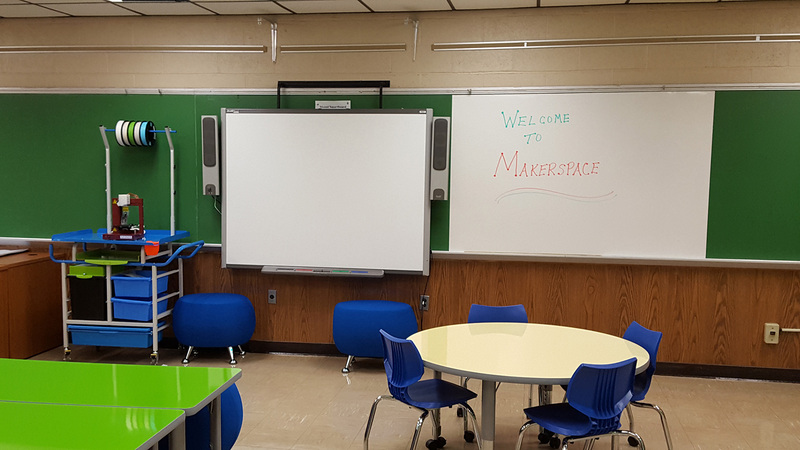 Ready to Start Your Own Makerspace? 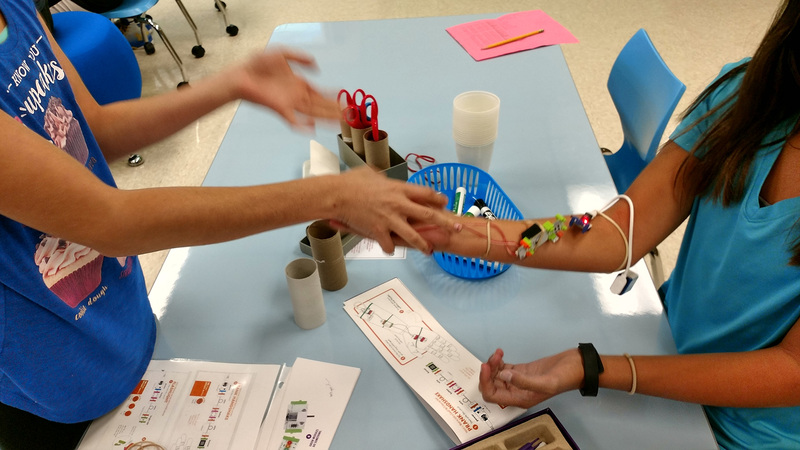 Explore engaging tools and resources, from crafts to coding, that promote exploration and critical thinking skills. 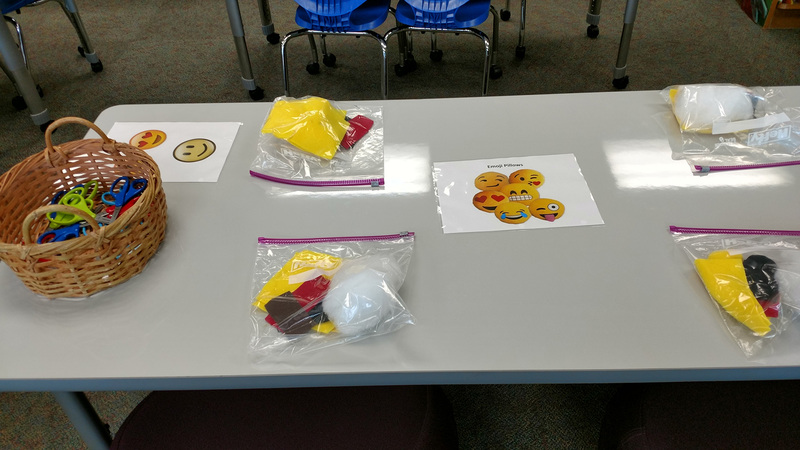 Kemnitzer is working to foster this maker mindset across the entire school building, which includes letting go of standard definitions of what success looks like. 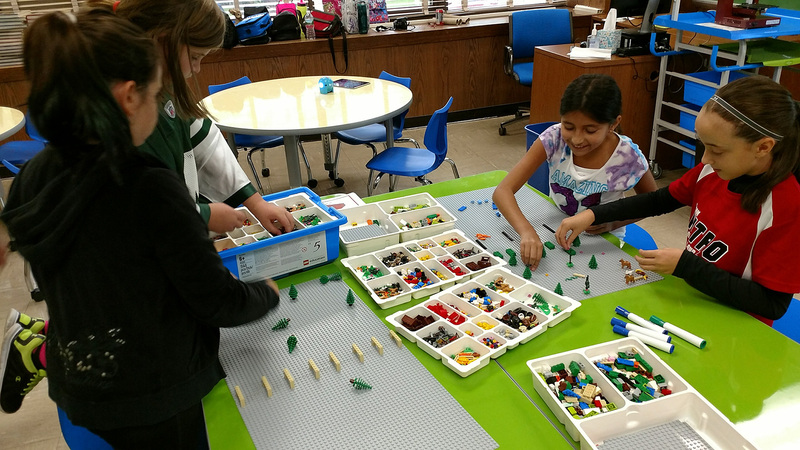 Although makerspace activities will tie to the curriculum, students won’t be assessed with a grade, said Kemnitzer. 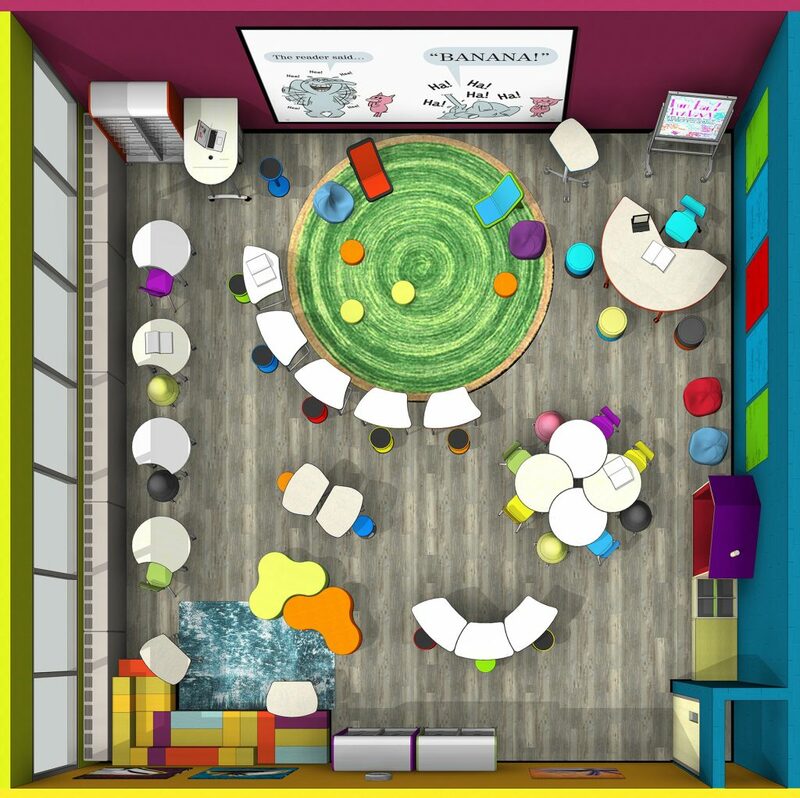 The makerspace will give students opportunities to test and learn and even fail. The school district will also be testing and learning. 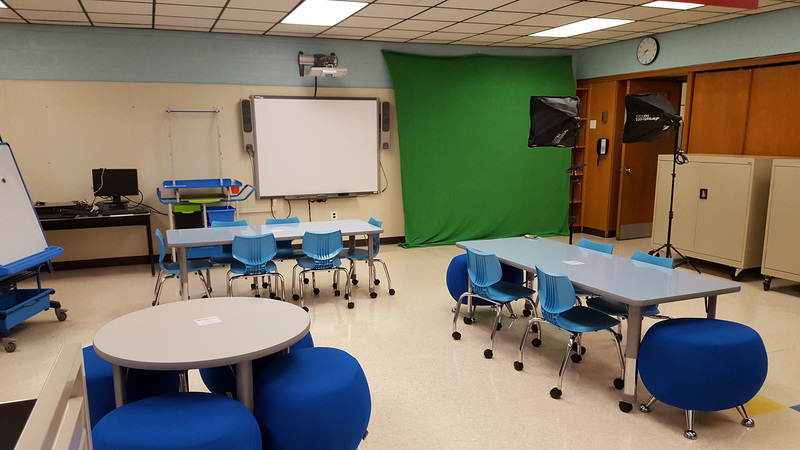 As the concept of makerspaces evolves and education and library services change, so will the schools’ spaces. 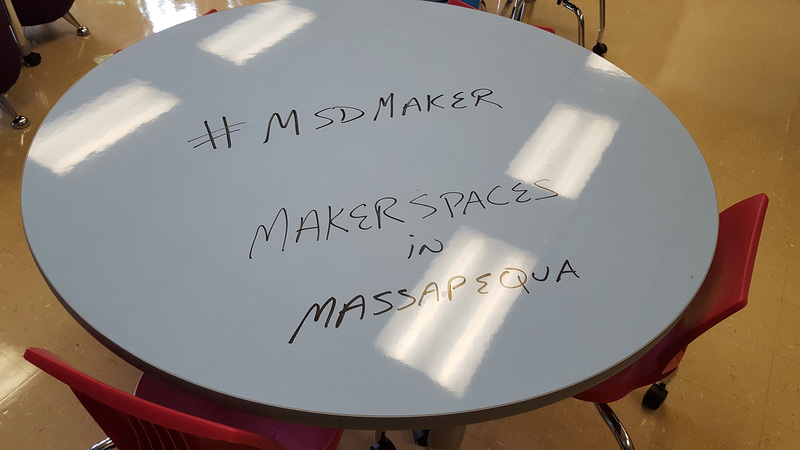 In the meantime, they’ll help pass on what they’ve learned to other school districts that are already requesting visits to see Massapequa’s makerspaces in action.